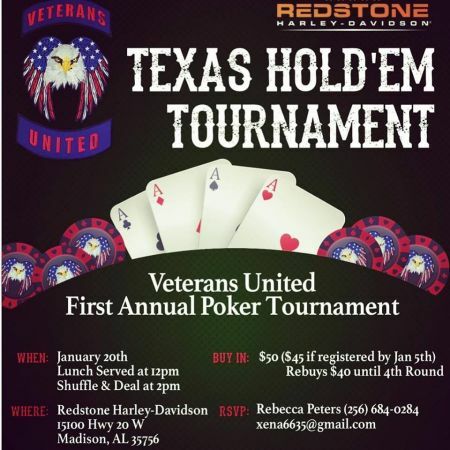 Join us at Redstone Harley-Davidson for a fun night of Poker! We'll have food, drinks, cigars and more! All the proceeds to benefit Veterans United! Reserve a table today! Awesome prizes for the winners! HUGE TV, Orlando Vacation, Harley Swag, Cigars, Yeti Cooler, and more!! !